One of the most successful ways of expand our brand awareness and gain the respect from clients is by taking care of them by using different kind of promotions that will really help them out in their daily lives. We could offer them chalk ink markets as a promotional product or giveaway to include in our marketing strategy. A giveaway nowadays should be a promotional product that will stand out from others and perceive a high value on customers. How does this giveaway help our brand increase reputation? 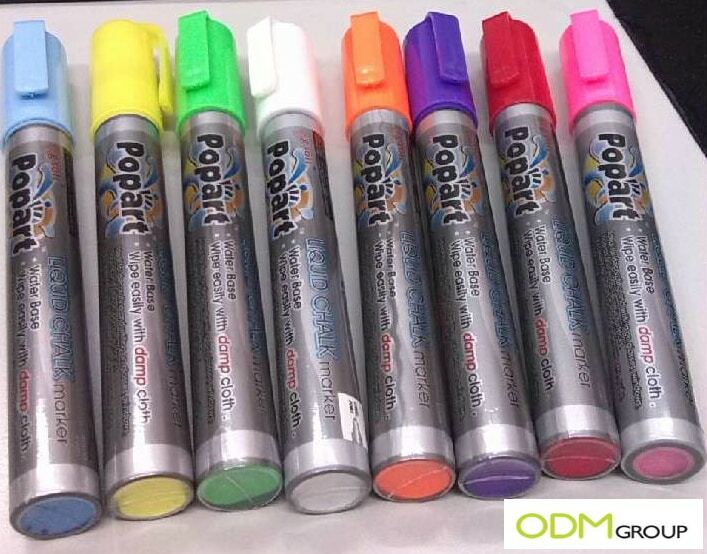 Firstly and most importantly, the fact that it is simple pen markers it is very different to the ones already out in the market as it can be used in many different situations and is very cheap to purchase in large quantities and with different colors. This promotional item can be used in business too when we come to write up displays in cafes, where the ink color is bright and can be easily wiped off everyday to write up new messages to clients. How does this giveaway help convey our message to the public? 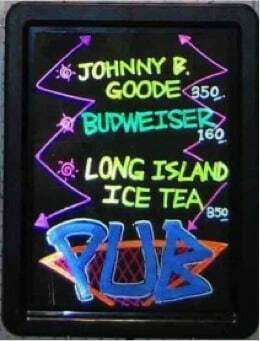 The ink color is very bright which makes it very easy for anyone to read it from long distances as the colors are vibrant. We can easily use different type of packaging methods like color boxes, PP boxes or display sets. Ask us for this reluctant promotional product with Reference Number: 5318 and we will be able to provide you a quote.